We all want to give our mother the best for Mother’s Day, but that could seem out of reach for those of us who are on a budget. But that doesn’t mean that we can’t give our moms a Mother’s Day she’ll never forget. There are a variety of fun activities and great gifts you can give on her special day that won’t break the bank. You just have to know the secret to this holiday: most moms just want to spend time with their kids and family. 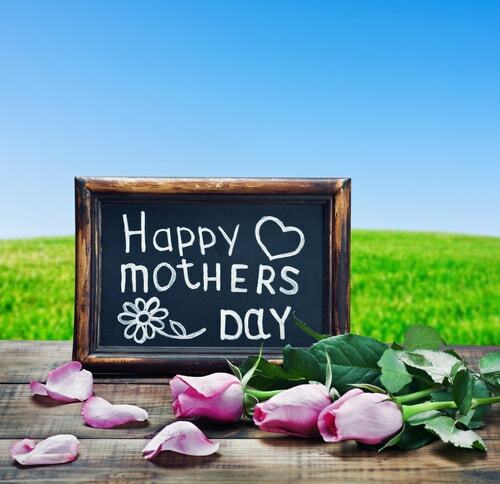 Below are a few ways you can go about giving your mother the best Mother’s Day ever while still sticking to your budget. If you find any of these ideas just a little out of your financial reach, there is always the option of using a credit card or title loans to get emergency cash. Working is only as much fun as you make it, and while breakfast in bed for mom is great, another option is to put together a delicious brunch with her help. Too often moms are forced to cook for convenience and not fun; this Mother’s Day, give her the opportunity to go wild. French toast, crepes, pancakes, waffles, eggs Benedict, bacon, cinnamon rolls, biscuits, omelettes: buy her the ingredients she needs and then take your time helping her put her masterpiece together. And don’t forget, you do the dishes. If you’re looking for something to do with mom later in the day, have a look around your area for a bar, restaurant or bowling alley that hosts a karaoke night. Plenty of moms love to sing, and while you may find it embarrassing, they also love to have an audience. It’s exhilarating to stand in front of even a modest crowd, and no parent gets out as much as they’d like after the age of thirty. Just be warned, you may have to take the stage at some point yourself, so if public singing isn’t your thing, best to skip this one. Mother’s Day offers a variety of half marathons and 5K walk/runs taking place throughout Illinois. And while you shouldn’t pop this on your mom at the last minute, suggesting running it a month or two in advance is a great way of bonding with her as the two of you train in the weeks leading up to it. As long as you’re both prepared, going to a big event and running with everyone else can be a blast and a great way to spend Mother’s Day. On the surface this can seem like a weird idea, but hang in there and you’ll understand. The truth is that once you and your siblings have flown the coop, most mothers can’t just turn off all that maternal energy, and getting her a pet as an outlet for it is a wonderful gift. There are plenty of deserving shelter animal with just as much love to give as your mom, or if your mother has a favorite breed, you and your siblings can split the cost of buying her a new companion.